We love camping, hiking, and photography. We blog about our adventures and share stories and photos. Thanks for coming to visit! Our “box” this month came in an easily recyclable bag - which we really appreciate. Our Cairn Scout paper showed the theme of “Build Your Base”. We noticed that there was a dog themed bag going out this month, but since we don’t have a pup, we didn’t get that pack. This pair of underwear is very nice. They seem like they’d be very comfortable and very lightweight to wear. They are a very thin and light material and would be great for hiking or travel. They also seem like they’d be incredibly easy to hand wash and dry, which is handy when traveling. We are not huge fans of the “buff” color, but it has it’s place. Unfortunately, the size we received did not fit either of us. We’re reaching out to Cairn to see if we can swap them out! Cairn is always great at dealing with situations like this. Update! Cairn swapped us the too-small underwear for a nice pair of thick hiking socks from Smartwool. The customer service behind this box is top notch, and we love them! And the new socks! This is a bar from a brand that we were not familiar with. Kim loves gingerbread cookies, so she put her claim on the snack this month. The bar is plum and fig based, made of 100% real food. Fun fact - it won’t freeze, so if you’re going someplace cold and snowy, this is a good snack to pack! This big bottle of goo was intriguing. We took it with us up to the mountains for a hike, thinking it would come in perfectly handy for several miles of hiking. Super disappointed, we completely forgot to apply the product before hitting the trail. And no surprise, I got back to the Subaru with blisters on both feet! I’m pretty sure this goo would have made a difference, and it’ll get put to use for sure on our next hike! Sign up for your own subscription box! 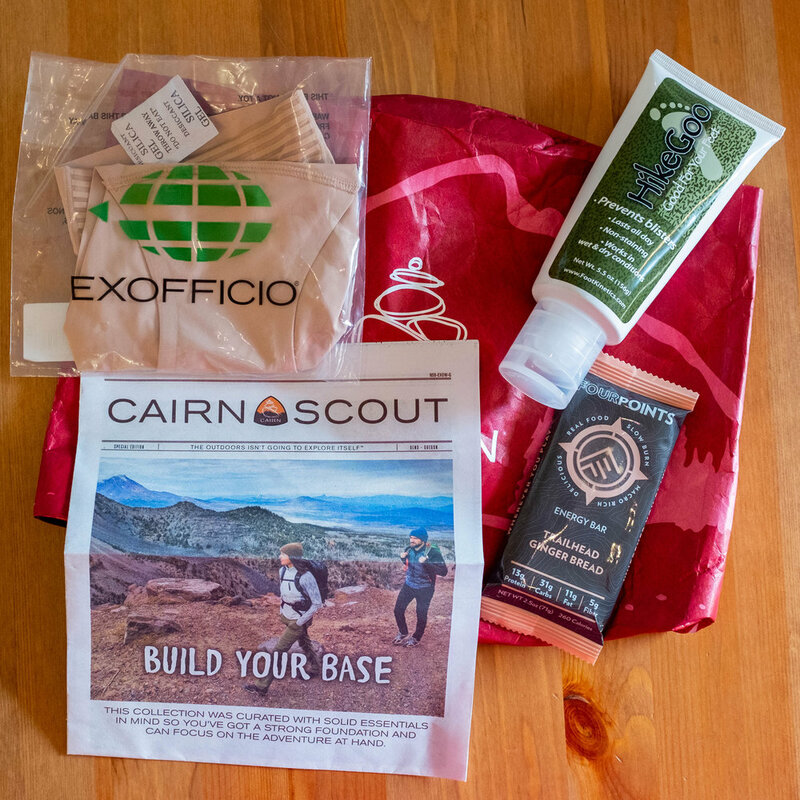 We have received some useful and fun gear in our Cairn boxes - search our blog and you'll find lots of reviews and info about the cool stuff they send out every month! We are regular (paid) subscribers, and we love the stuff we get in a surprise box of goodies every month! 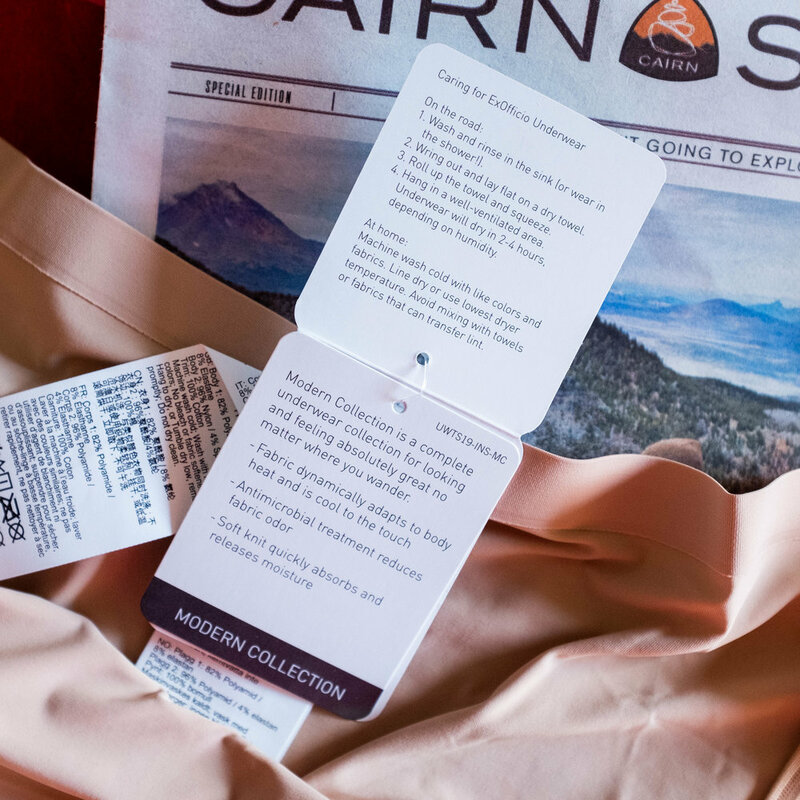 Have you tried Cairn? Tell us what you think! Note: Some of the links in this post are affiliate links, meaning, at no additional cost to you, we will earn a small commission if you choose to make a purchase. We will only ever share honest, unbiased reviews. We are grateful for your support of our site in this way. Thank you.